With three of the Fry Family Quartet off for seven weeks of summer adventure, I’m faced with pursuing a solo career for a bit. It was incredibly sad putting Kristine and the kids in a cab to the airport this morning. Fry Lodge has never been so silent. They did it. 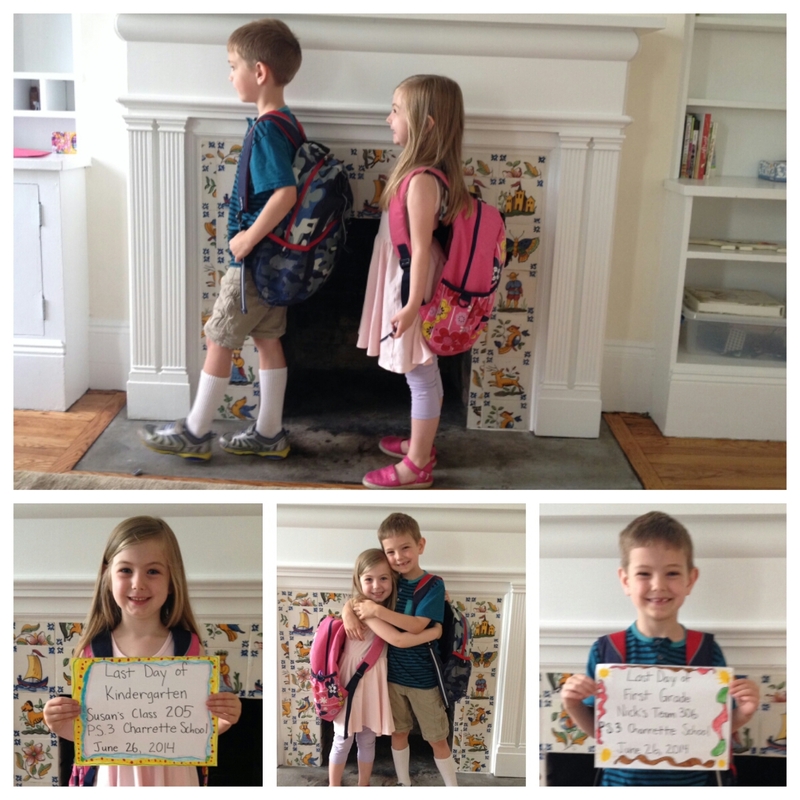 Henry and Ruby have successfully completed their first year of school in New York City. 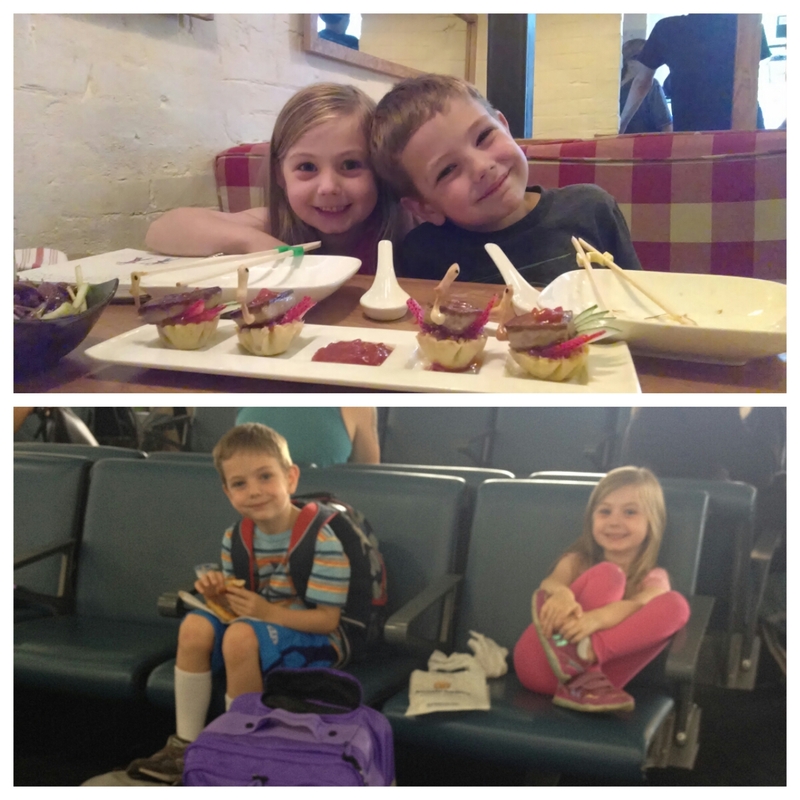 It’s been pretty amazing to watch them grow up over the last nine months. They’ve learned so much. To celebrate the start of summer vacation, the kids are staying up way past their bedtime watching Willy Wonka and the Chocolate Factory. I think Ruby is just a tad too fond of Veruca Salt. 11 years ago, almost to the day. I remember it like it was yesterday. The Volvo salesman pointed out the dual control air conditioning feature as Kristine and I test drove the brand new 2004 V70 T5 Turbo. He said it was a “marriage saver.” We weren’t even married. But he was right, I suppose. We’ve had so many great memories in this car, which we are donating tomorrow to the Make-A-Wish Foundation. 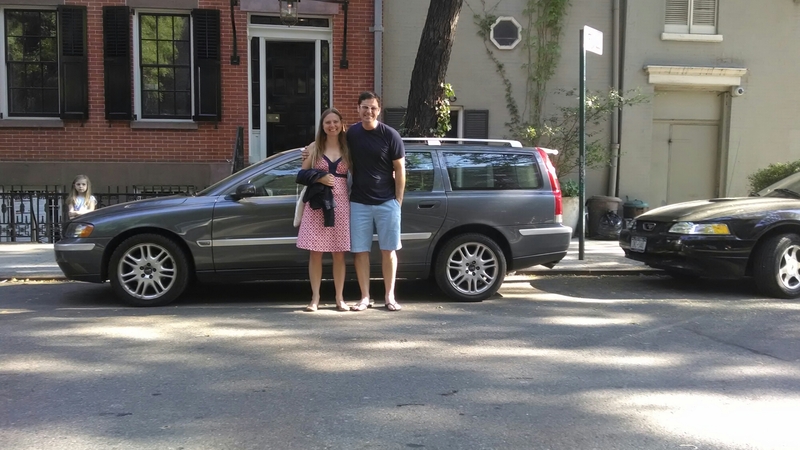 I’ve owned the Volvo for more than 25% of my life. We drove baby Henry home from the hospital in that car. We moved the family from Lopez Island to Manhattan in that car. I ripped the front end off of that car. And after 90,000 miles, it’s time to say goodbye to that car. Thanks for the memories, Volvo. 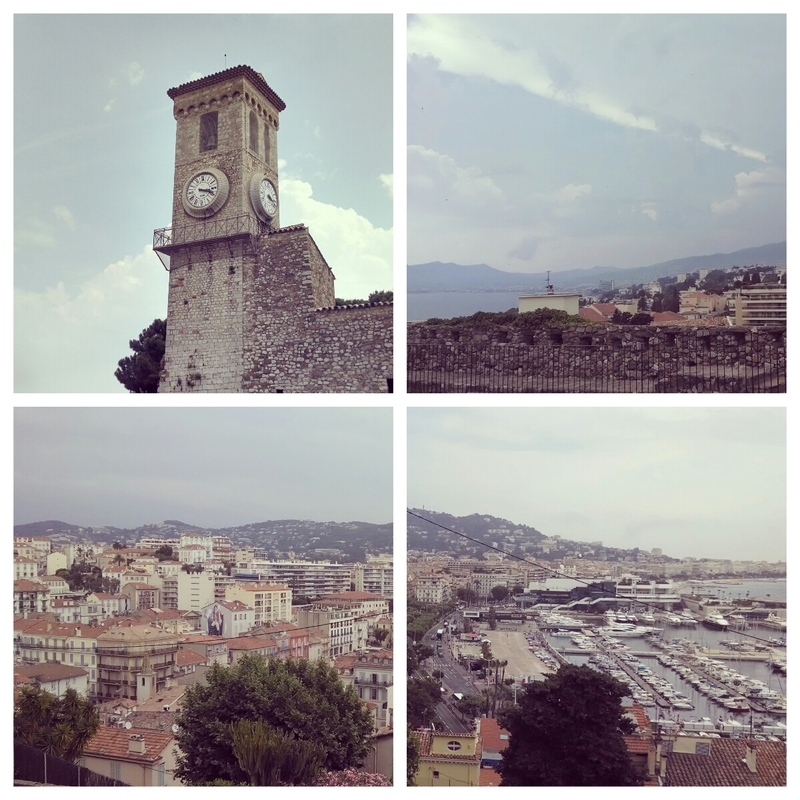 Thanks to Weber Shandwick and Getty Images (client), I’m in Cannes for the annual Cannes Lions Festival of Creativity. Sadly, I’m without the other members of the Fry Family Quartet. 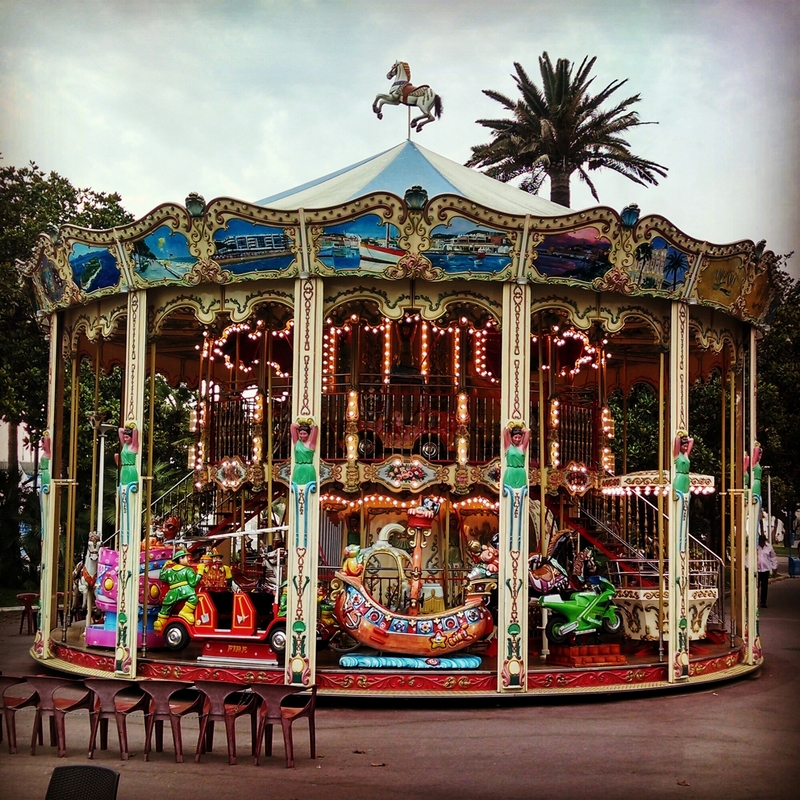 The double decker carousel along the beach reminds me of Kristine, Henry and Ruby. Cannes is lovely, though we’ve had quite the thunder and lightening storm for the past hour – an auspicious start to five days on the Mediterranean. Looking forward to seeing my Weber Shandwick friends and hopefully winning a few Cannes Lions. The Fry Lodge faithful might remember that we live right around the corner from Sofia Coppola. We haven’t run into her. Until today. Kristine and the kids went ahead of me to the park this afternoon. 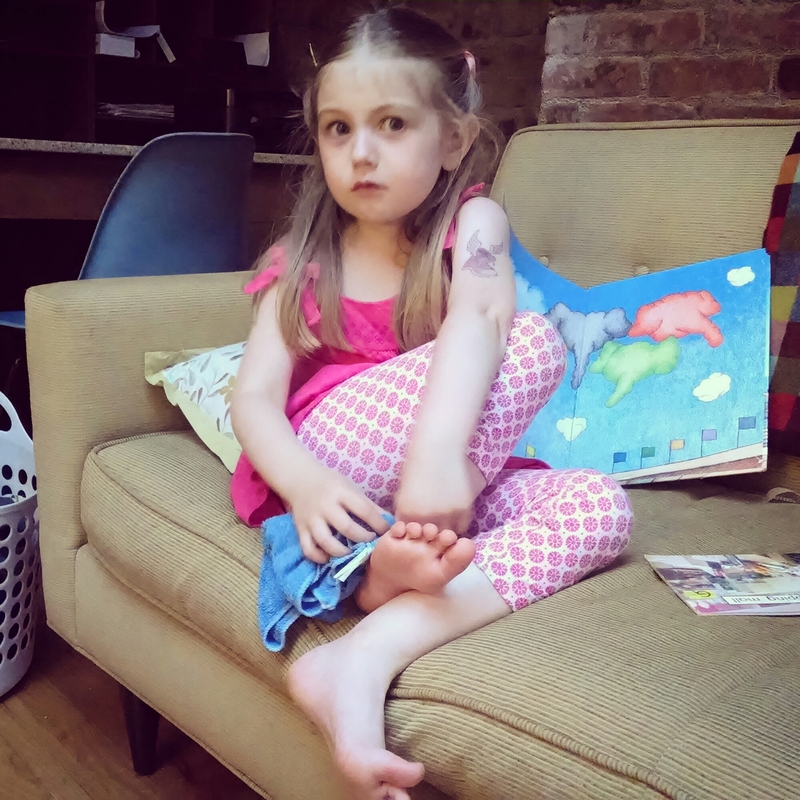 As I was getting ready to meet them, Kristine called me to ask if I’d bring them a few things from the apartment, including an ice pack for Ruby’s ankle. When I arrived at the park, I learned that another little girl had run over Ruby’s ankle with a scooter. That little girl turned out to be the daughter of Sofia Coppola, who apparently had just finished apologizing profusely to Kristine for the accident. I’m so bummed I missed it (the apology, not the accident). I’m pretty sure Ruby’s ankle will be fine. The Fry Family Quartet split up along gender lines on Saturday. Kristine and Ruby spent the day on Governor’s Island visiting Ruby’s friend at her mom’s food stand. 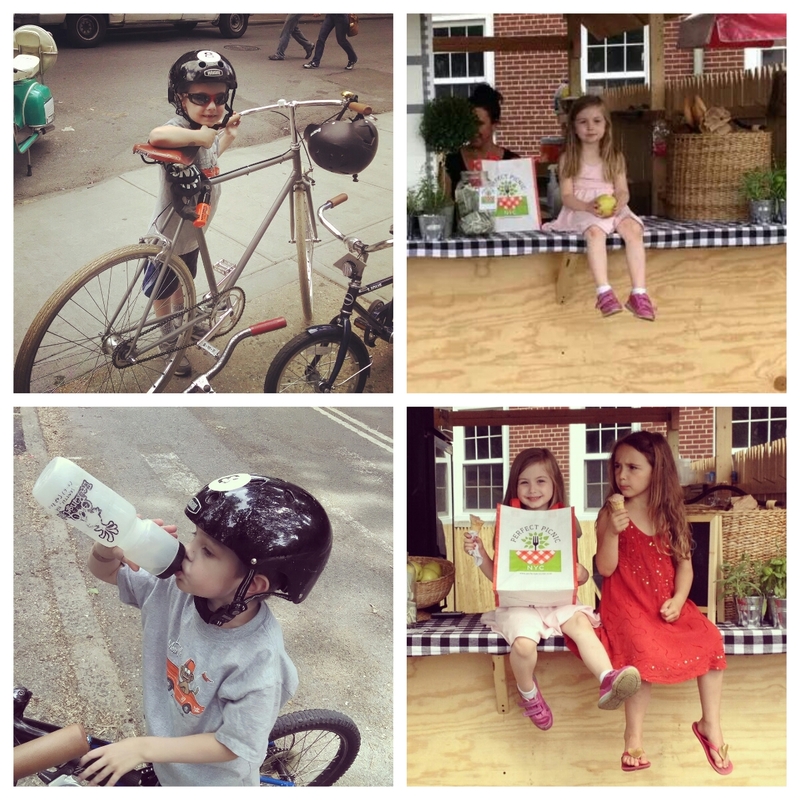 Henry and I took our longest bike ride yet – up to and around Central Park. It’s been a lovely weekend in NYC. Summer has arrived.